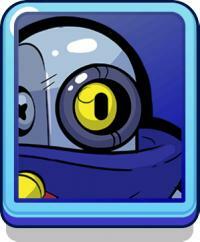 A former Pool Bot made obsolete by a newer model, Ricochet is banking on his amzing angle-calculation skills to become a great Brawler. Very long range and high damage. Can damage enemies hiding around corners sometimes. Can safely check long bushes and around corners to give team information. Strong super move that can turn around a fight. Long range helps to zone away enemies. Lowest health character in the game, can be killed by almost anyone 1v1 if close. Damage per bullet is not very high, so many must land to be effective. Ricochet is a hard character to play, and the bounce angles and timing takes time to get used to. As a long ranged sniper, Ricochet must deal damage to be effective, so upgrading his attack damage will increase his effectiveness. His special is incredibly strong as it can bounce and pierce enemies, meaning it can possibly wipe the enemy team if they are low enough, definitely a strong upgrade. 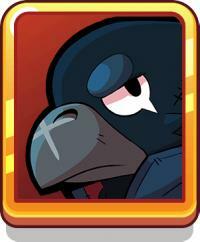 Health is by far the weakest stat for Ricochet, with the lowest health in Brawl Stars, he will most likely die if caught out, regardless of health upgrades. Try to stay far back, with one of the longest ranges it is unnecessary for you to engage heavily or at close range, you exist to poke and snipe. If you are caught out, try to walk through the enemy and take advantage of your bounce to hit them as they miss. Always check bushes for your team if you are full on ammo and do not need to shoot. Use your bounce as an advantage, you can hide behind walls while enemies can still be hit behind theirs. Aim for where they will be and walk with them, you will hit more shots if you walk linear to them. Do not try to take too long to aim bounces, an effective Ricochet shot will come quickly and seemingly from out of vision. Use corridors to your advantage to increase your accuracy. Try to use it on all 3 members of the enemy team, the pierce will allow you to do full damage to all enemies. The super also has bounce effect, so you can use this to hit hiding enemies if you are comfortable with the bounce mechanic. Sometimes you can use it point blank for guaranteed quick damage and kill. Do not pick up gems, as you can throw the game if you die. Stay far back and cover the mine area and your teammates. Aim for destinations, the enemies will most likely go for gems, and you can hit them as they do so. Stay behind tankier teammates but not too far away, they should be able to help you or avenge you in bad situations. Stay very far away from fights, and try not to contest boxes. Frequently shoot into bushes to dissuade enemies from attacking you, and if you can hit them it will charge your super move. Only fight if your super is up, it gives you much higher kill pressure. Use the bounce to hurt enemies chasing you, they will try to take advantage that you are on Ricochet. One of Ricochet's strongest modes, providing he can stay safe and avoid flanks. Cover the starting star with your normal attacks, the extreme range is a great advantage for this. Shoot along the long side bushes to catch out enemies waiting to flank or attempting one. 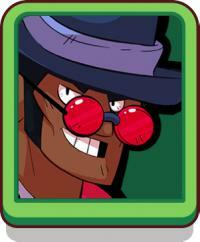 Ricochet is typically much stronger on defense due to his zoning potential. 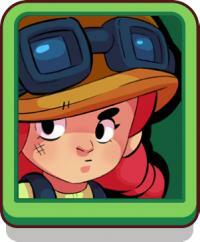 On offense you should try to charge super until you can walk to safe, there you can use the pierce effect of the super move to hurt the entire enemy team and the safe, giving a large advantage to your team. Defensively, focus on hitting enemies constantly and forcing them to retreat for regeneration, this constant whittling will make it hard for them to damage the safe and will buy time for your safe to survive the attack. 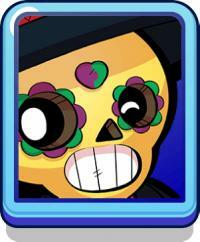 Ricochet's bullets bounce off everything except his opponents, and can hit them behind cover. 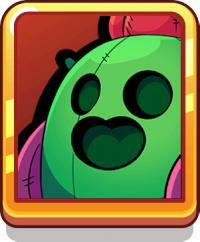 Ricochet fires a long burst of bullets that can pierce through his enemies and bounce off walls.